Depending on the system design, a magnetic element may be intentionally or unintentionally driven into saturation during transient or during steady-state operation. This example illustrates the usage of piecewise-linear (PWL) inductors in the input file. The system under study is shown in fig. 9.17 (a), which comprises of a sinusoidal voltage source driving a resistor in series with a saturable inductor. Fig 9.17 (b) shows the piecewise-linear flux linkage versus current characteristic of the saturable inductor. 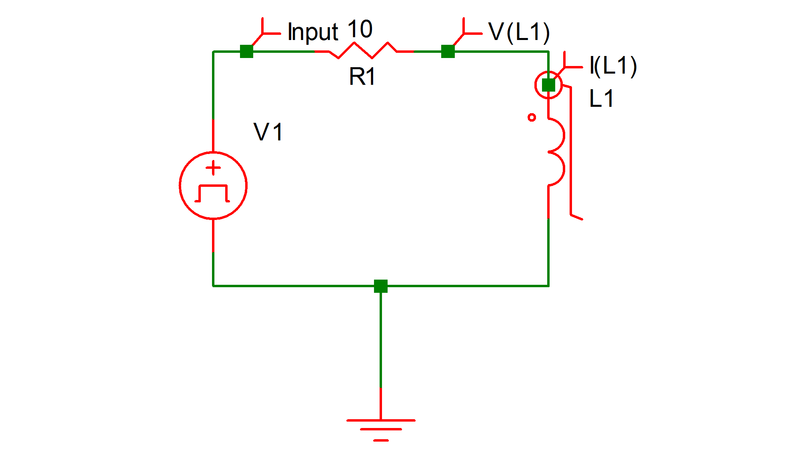 The input file for this circuit is shown in 9.18. The saturable inductor is modeled by the piecewise-linear inductor L1 (!L$L1 in the input file), with the flux linkage entered in units of weber-turns. The variables of interest are the input voltage V(VI), plus the voltage V(L1) and the current I(L1) of the PWL inductor. 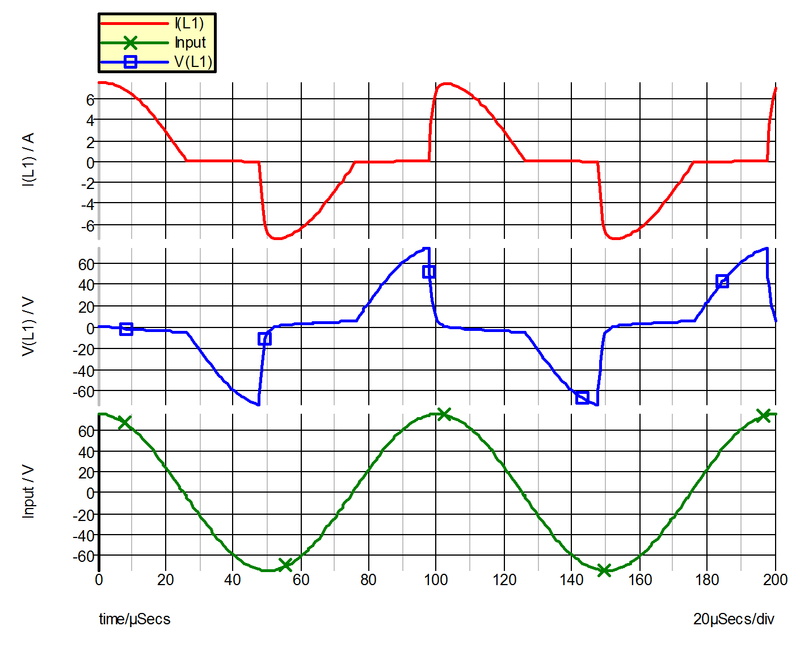 The simulated waveforms for these variables are shown in fig 9.19.